Home» modern technologies » Use of CAD, CAE in bio-medical field. 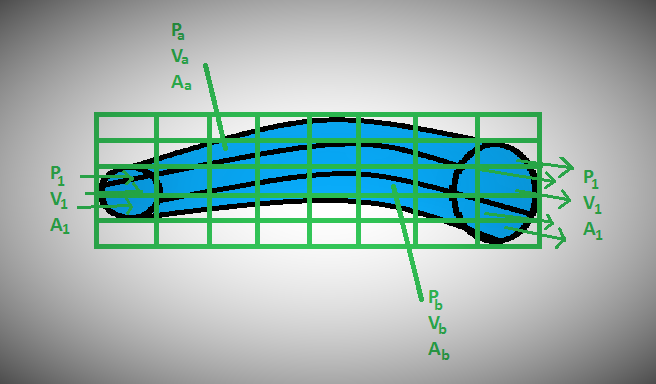 What is FEA (Finite Element Analysis). Use of CAD, CAE in bio-medical field. What is FEA (Finite Element Analysis). CAD is computer aided design and CAE is known as computer aided engineering. We can assume that CAD, CAM are the branches of CAE. In the CAE the use of computers for the analysis of the engineering tasks are to be done. A system is created to control many factors associated with engineering. These factors are planning, manufacturing, design, inspection etc. In this world of technical advancement the use of computer and automation is done for better quality of products in lesser time duration. In the bio-medical field the concept of CAE and CAD can be implemented. The method of structural analysis or finite element method can be very useful in this field. As the CAE offers faster results, improved methods of analysis, accurate measurements etc. So it can be used for analysis of stress in the body, pain in the human body and other problems related with it. The modeling in the CAD and CAE provides realistic view of the objects. It makes easier to understand the disease in the body. For the analysis in the medical field, the similar process of product development in production field is used. It includes drawing or image formation, then 3-D modeling of object up to anatomical extent and finally the simulation using finite element method. This process facilitates virtual model of structures to be analyzed in the human anatomy. In the initial stage the image formation will be done using scanners. These scanners are generally used in medical field e.g. X-ray machine. Many types of method can be used to develop a picture of the object. Then this image will be transferred to the modeling software. In the modeling software or CAD software the 3-D model is generated. The 3-D model should have true realization of the object. Using the image formed previously, the 3-D construction of anatomical structure is not a difficult task. The geometry of the structure is used from the image and converted into the CAD format. This is a bridge technology to get a CAD file from an image. After getting the appropriate format or information by modeling software, the next step should be executed. The next step is about simulation of 3-D model. This can be done by FINITE ELEMENT METHOD. It can perform the stress distribution of human anatomy. The results can be used to analyze the disease and to develop a device. Fem needs lot of data and information about geometry, properties of material and other conditions. So the 3-D scanning methods like CT scan, MRI etc. can be used to develop the CAD data. After this FEA can be used efficiently. Finite element method is a tool for the analysis of many types of system. The system can be related with engineering analysis. In the finite element analysis, a system is divided into several part or elements. And then the analysis of various factors can be done into every part the system is divided. Basically, finite element analysis is a numerical method of finding solution in the problem for which the boundary conditions is known. Then the separation of the problem will be done into many parts. This separation has advantages like locating defects, solve complex problem easily etc. In this example we will study the nature of a matter transferring from point 1 to point 2. Lets assume the substance or matter has certain properties (these properties has been represented as P, V, A). At point 1 the values of properties is represented as P₁, V₁, A₁ and at point 2 the substance has different values of these properties P₂, V₂, A₂. these are the boundary condition values. But if we want to study the nature of fluid inside the system, this is not easy with ordinary calculations. For this purpose we need to use the method of finite element analysis. The process of using FEA is given below with figure. According to finite element analysis, the system is divided into many parts. And by the numerical method the problem is solved. In the example given above the values of properties of the matter can be calculated at any section of the system as shown in figure given above. Properties inside the system Pₐ, Vₐ, Aₐ etc. can be measured and behavior of matter inside the system can be analyzed. In this way the method can be applied in the medical field. Stress or pain, blood circulation and other factors can be analyzed in the human body by finite element method. The analysis of stress can be done by structural analysis of the body. The value of stress will be measured at different points. This can make the process of diagnostics easier. For this purpose various CAD software can be used. FEM is a calculation method that can be used in the testing and analytical software. As we use the ANSYS Software for the analysis for the testing and analysis of a model, the same procedure will be followed in bio medical field to implement this method effectively.